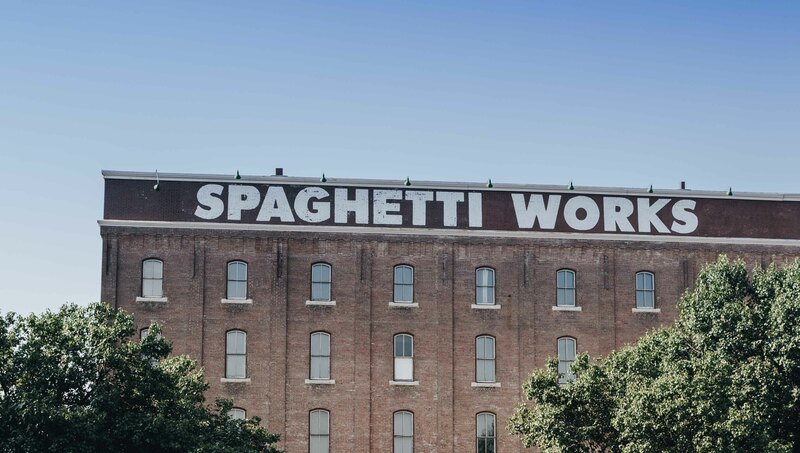 Work is expected to begin in the next few weeks on a project to turn the old Spaghetti Works building in downtown Wichita into apartments. On Friday, Hutton Construction Corp. pulled a $3.5 million building permit for the commercial remodel. Brad Saville tells the WBJ that work is expected to begin on the project in early June. Seneca Property, which is owned by Saville and Nick Esterline, both of Landmark Commercial Real Estate, and Kansas City-based Sunflower Development Group purchased the property in 2016. As part of a larger $23 million community improvement district project, there are also plans for a new building with retail and office space just to the north of the four-story Spaghetti Works building. The existing warehouse structure will be remodeled into a 41-unit apartment building. The city also has plans to revamp Naftzger Park, which is also just steps away from the Spaghetti Works building.